Rectangular Traypapers made from bleached Kraft paper and hand finished, with Lace Border. 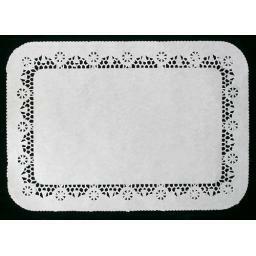 Used for display of patisseries, cakes and buns. 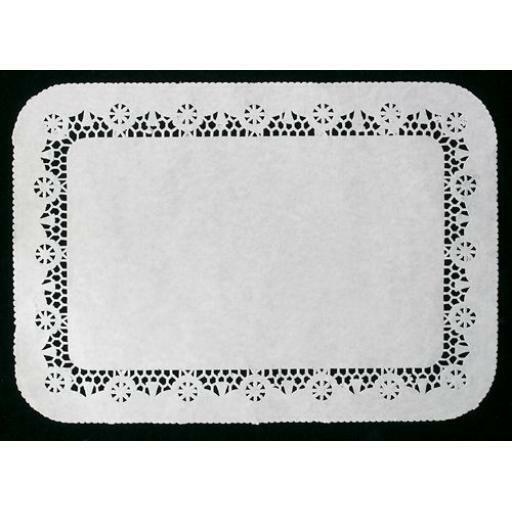 Versatile Use: Cakes doilies, food doilies, grease proof doilies, place mat paper.